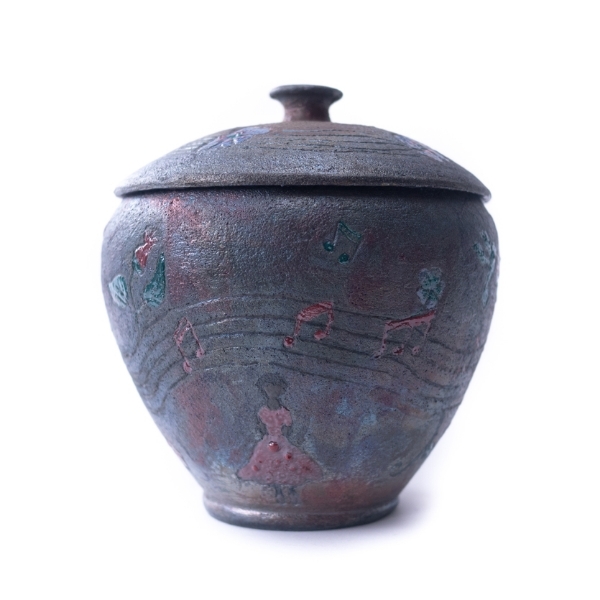 Medium: Soldate Clay; thrown and then carved with stories of a life; raku fired, using her old sheet music and letters I had failed to send for the reduction fire. 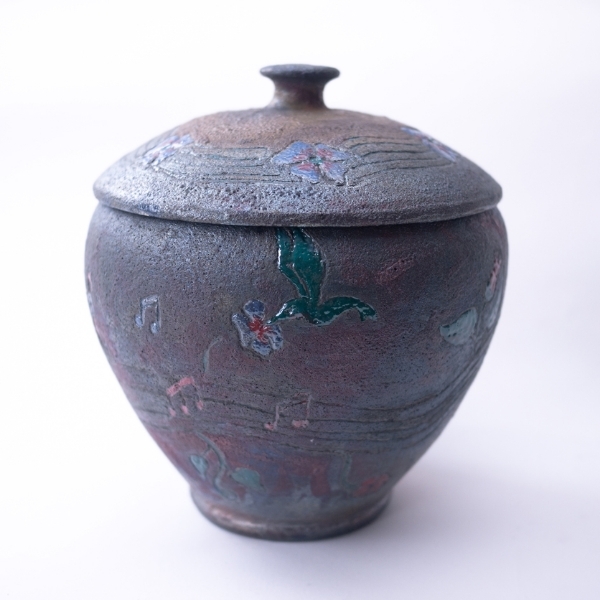 Memory Urns are designed as memorials to the dead. They are not for holding ashes, but for holding the relationship that existed between you and the person that was lost. They can hold mementos as well as notes that contain the things you want to say to them.